Inclusion of beverage bars and brilliant coffee station to your sitting spaces, gives a class to that particular sitting area! 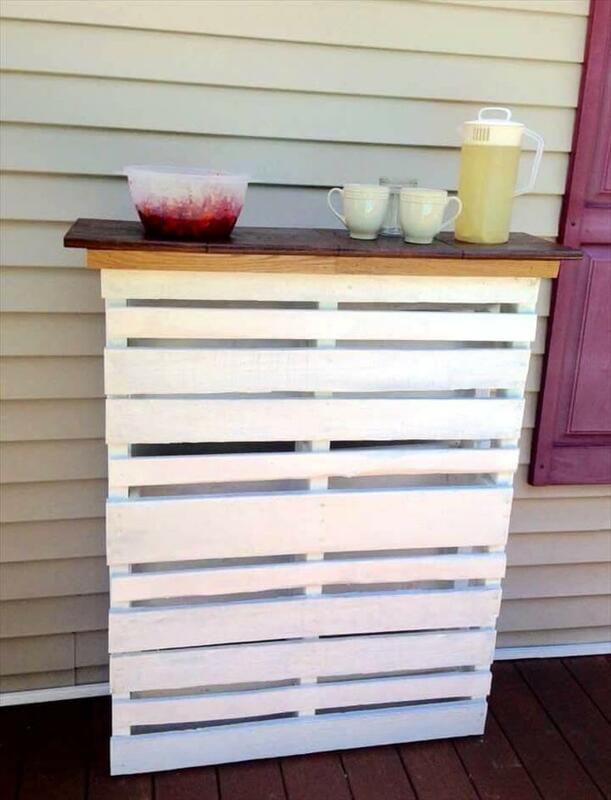 You can make use of retired pallets to gain extraordinary stations in the boundaries of your sitting locations for convenient preparation of coffees and drinks there! 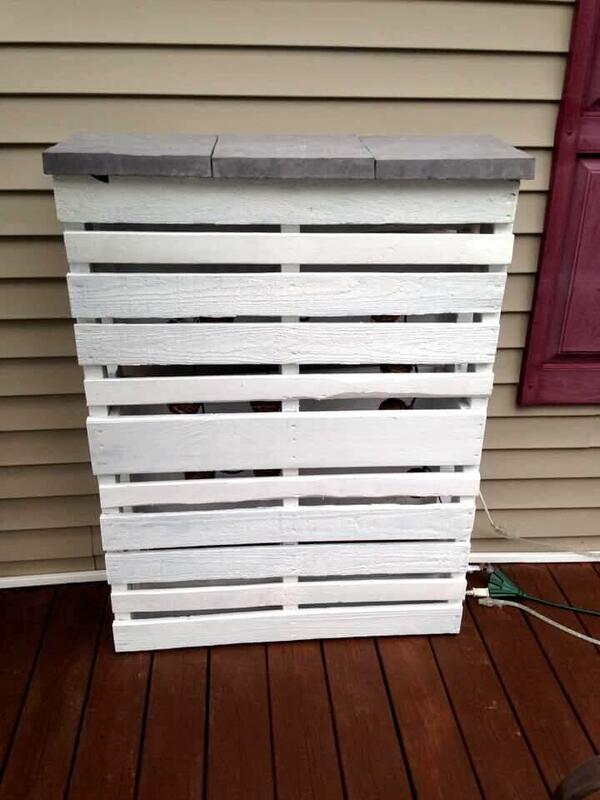 Construction is not a big trouble, here a using a single pallet board vertically as slim base, this DY wood pallet deck bar has been built that can be finished with multiple different tops for a prominent look! Before making a part of the pallet bar table design, the pallet skid has been passed through a little sanding process for sparkle on the wood grains but no splinters! For a beautiful white appeal, it has been painted in white and has been finished with a custom top, here you can prefer a solid concrete tile top or a original wooden top! 2 little feet have also been designed using leftover pallet planks and can be installed to bottom side of the bar for a stable standing position! 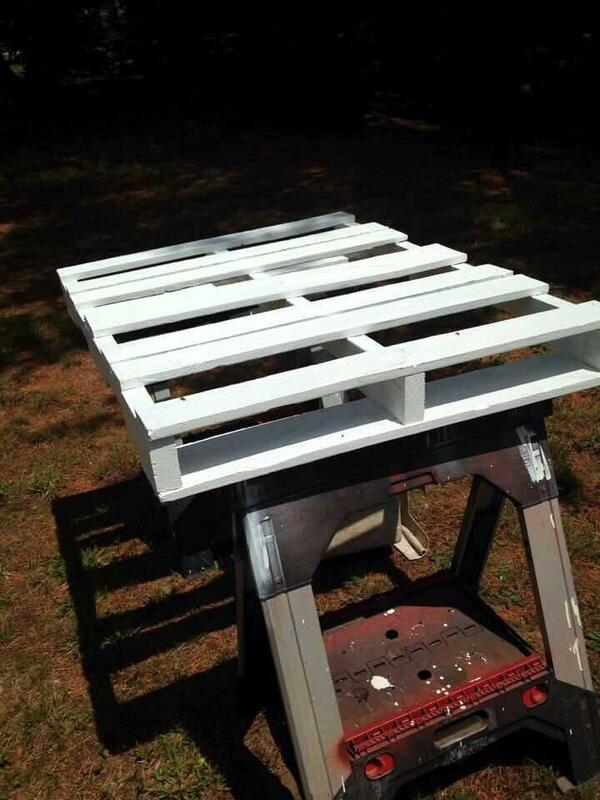 Decide a healthy pallet skids for building vertical base of the bar table, a reconditioning and painting of that pallet would be recommended before you get it into construction! Here after paint the pallets and feet of the bar are ready to assemble! 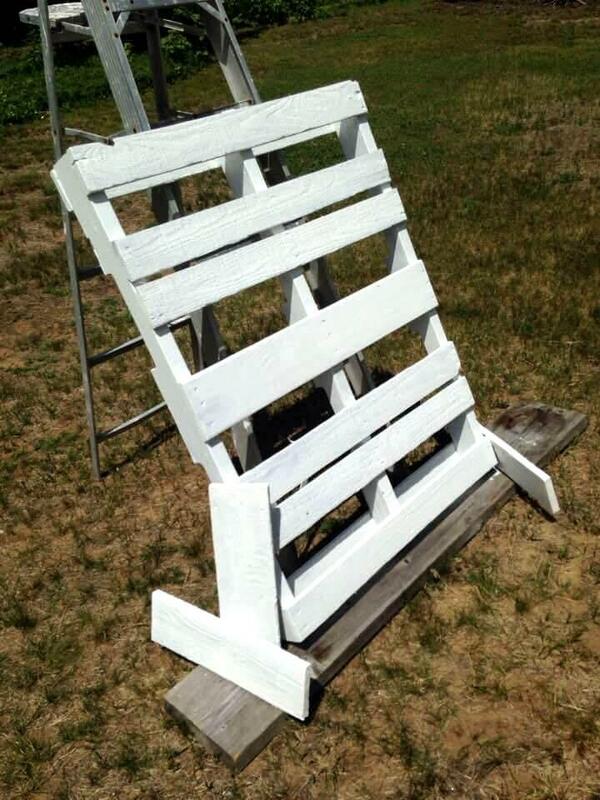 Make the painted pallet stand vertically and add a custom top to for a slim bar table, can be got for porch or deck area! 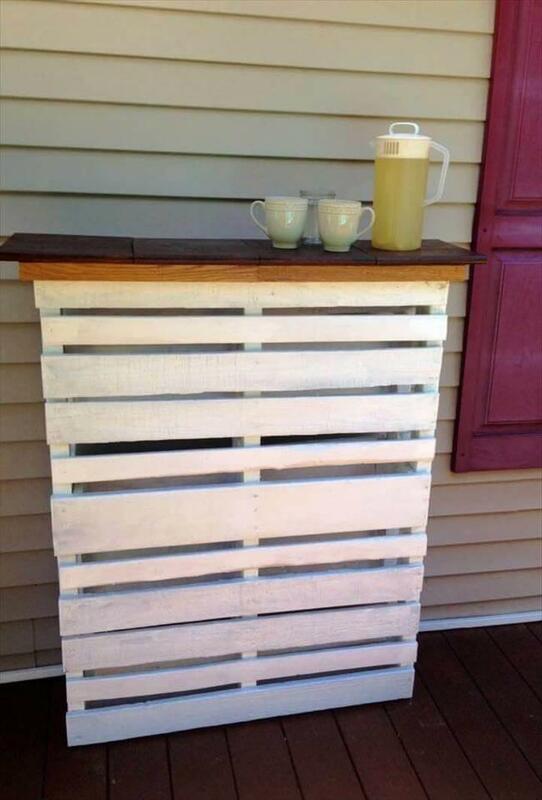 There can be too much different options for building top of this slim wooden bar, you can make use of plywood, pallet wood and also those of concrete tiles! Here this edition of bar comes with original wooden top! 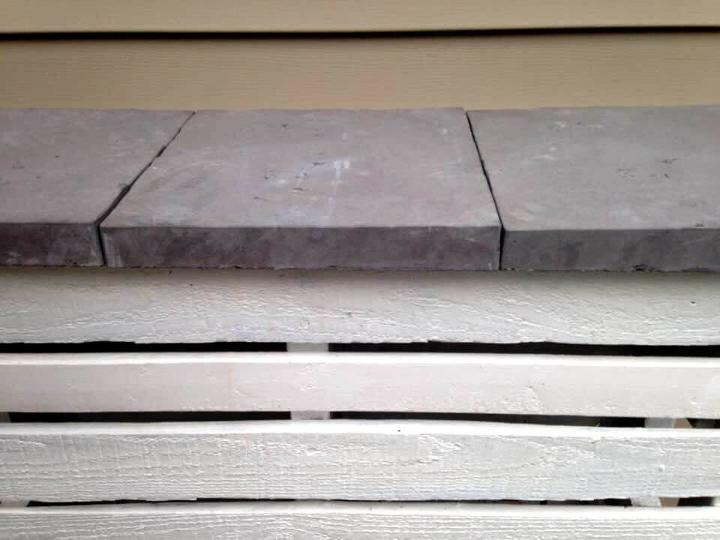 For a solid concrete top put 3 concrete simple over the vertical single pallet base, here is a great practical inspiration given about it! For better visibility at night, this bar with concrete tile top has also been fancied up using lights around the top area! 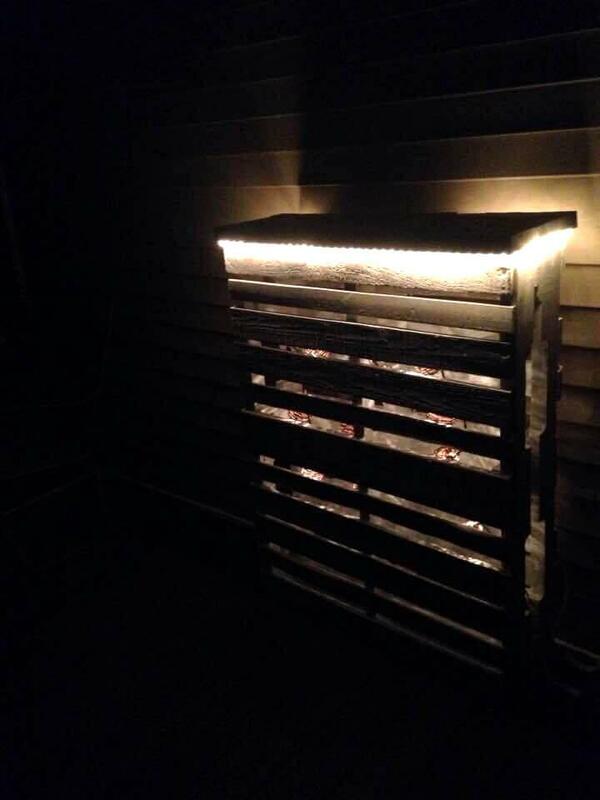 Checkout here the preview of the bar captured in the darkness, the lights spread is really beautiful at night and will allow you to see your items of interest clearly!